If all Cabernet Sauvignon tasted like this, I would drink it every day, all day long and twice a day on Thursdays. And here is a double whammy – if you visit the Gillmore website, they play my favourite piece of music – the prelude from Bach’s Cello Suite No. 1. And get ready for the triple play – manually farmed with no irrigation. How can one lose? Estate bottled from 60 year old vines located 50 km from the Pacific Ocean, this wine was cradled back to Vancouver by Costa and Jody and kindly shared with – me! Oh lucky day. If you can find any of this, buy and drink it. Deep ruby with big legs and with a medium plus nose of beautiful perfume – crunchy pine needles, lashings of red fruit (strawberries, field berries, raspberries and pomegranate), cigar box spices, tobacco, cedar, cracked pepper and purple flowers. We just inhaled this wine for about the first 20 minutes, it was that enchanting. On the palate, dry with medium plus acidity and with tannins that had integrated since Costa had tried this wine for the first time in 2012 at the winery. By all accounts, those had been face-burning. These are integrated and round, but still medium plus ripe with some grip. The wine is 14.9% abv, but not alcoholic. The flavours have medium plus intensity and show red fruit, tobacco, cedar box and spices – black pepper with clove and nutmeg. The finish is a lengthy medium plus. WSET Very Very Good – delightfully fresh, floral, pine-scented, fruit – complex, balanced and integrated. It tasted more like Cabernet Franc than Cabernet Sauvignon which may be why it was so appealing. Top notch – a home run. 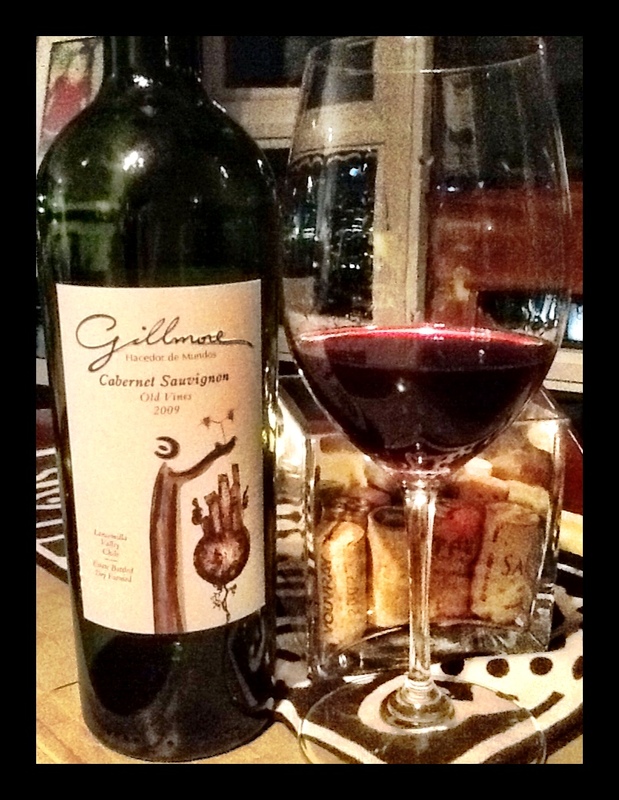 This entry was posted in Cabernet Sauvignon / Blends, Chile, RED and tagged Cabernet Sauvignon, chile, gillmore, loncomilla valley, red wine. Bookmark the permalink.